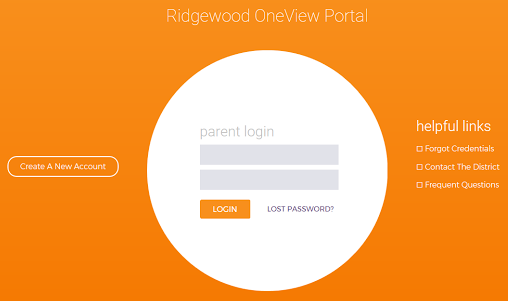 We are pleased and excited to announce Ridgewood OneView - an on-line forms program allowing parents/guardians to maintain required forms on-line. From this page you can access the Parent Portal. Your first step is to set-up your OneView parent account. Please note that in order to set-up an account you must have a vaild e-mail address. If you have a valid e-mail account click on the Parent Portal icon below. If you do not have an e-mail, you can click here to create one. 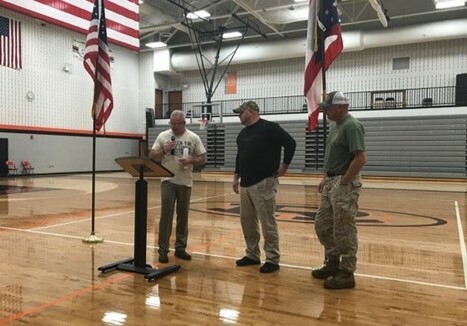 Sealed bids will be received by the Ridgewood Local School District Board of Education, at 301 South Oak Street, West Lafayette, OH 43845 until 1:00 PM on May 8, 2019 for the Building Project for the Sports Facilities at the Football Stadium on West Fifth Street, and at said time and place bids will be publicly opened and read. Click Here for additional information on the bidding process. Congratulations! The Ray Kroc Scholarship Award is named after McDonald’s Founder, Ray Kroc, and is designed to honor his philosophy that with persistence, determination and hard work you can achieve anything. To qualify for the award, you need to have a GPA of 3.0 or higher and demonstrate the characteristics of persistence, determination, hard work and community involvement. To see pictures of the RHS award recipients along with their proud parents click the Read More button. 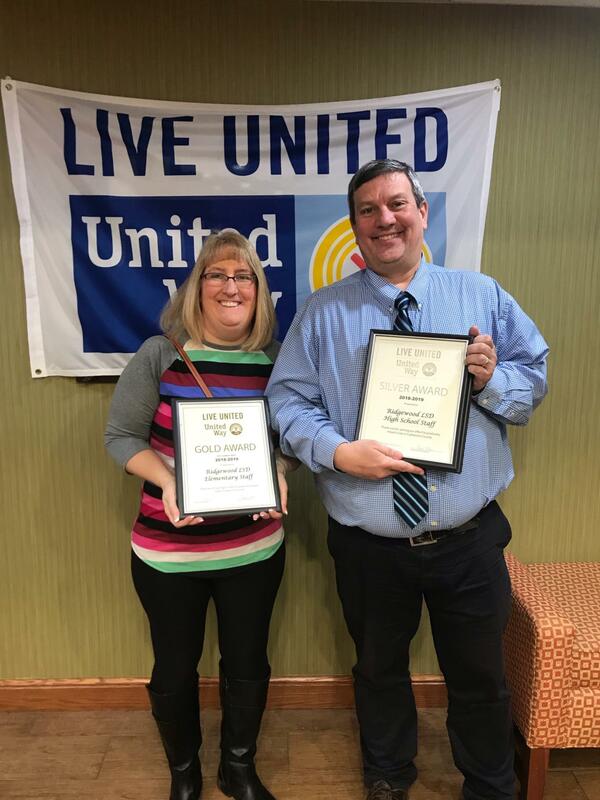 Sophia Kobel, 12th grade student, Raquel Foster, 12th grade student, and Mr. Chad Lahna, 8th grade Math teacher were honored at the 30th Annual Student and Teacher Recognition Ceremony sponsored by the Muskingum Valley Education Service Center on March 13 at Ohio University-Zanesville. Sophia Kobel was recognized as Outstanding Student and Mr. Lahna was chosen as her Teacher Honoree. Raquel Foster was honored as being the Franklin B. Walter Finalist for Ridgewood Local Schools. Congratulations!!! 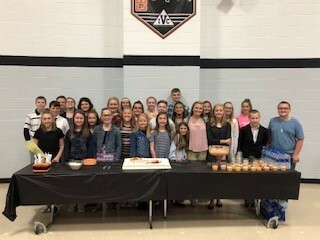 The West Lafayette/Ridgewood Alumni Association (WLRAA) will hold its annual banquet on Saturday, June 1, 2019 at Ridgewood High School. This banquet is for all graduates of West Lafayette and Ridgewood High School. 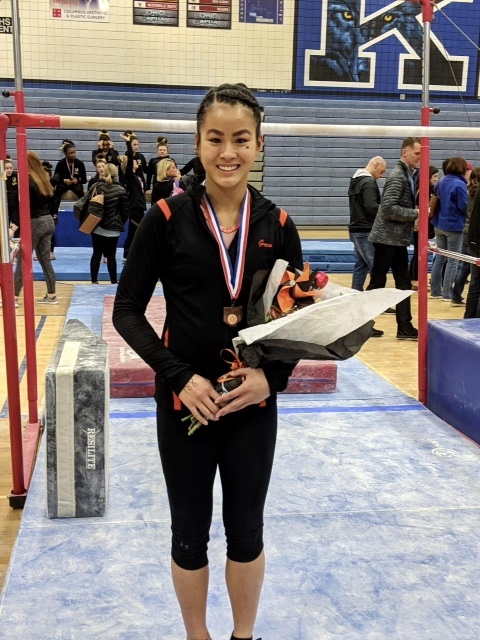 Grace Gottwalt went to Hilliard Bradley High School for the State Competition in Individuals on the Uneven Bars. She placed 23rd. Congradulations Grace! Wendy Croy, RMS Grade 5 ELA and Autumn Hendershot, RES Intervention Specialist were featured during the best practice portion of the State Support Team Region 12 Special Education Directors' Meeting at Buckeye Career Center on Tuesday, March 12, 2019. Autumn and Wendy shared about Writing Across the Curriculum and Implementation of Progress Monitoring Data Collection. 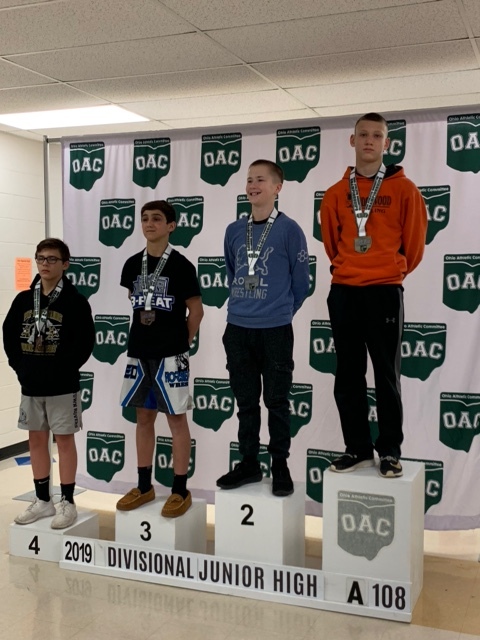 Jesse Maple won the Division 3 State Championship at 108 pounds. Congradulations Jesse! 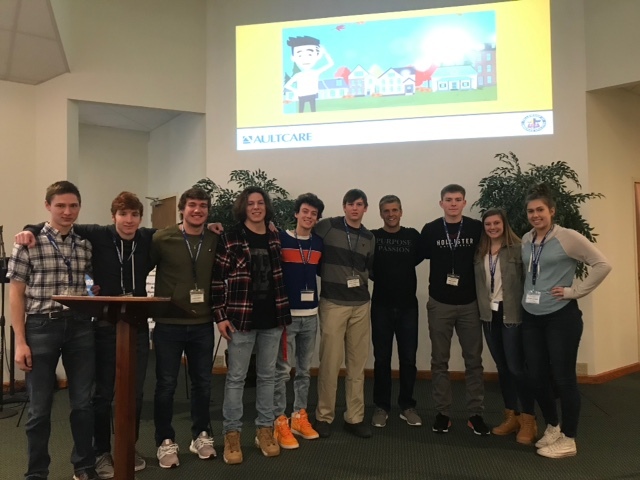 On Friday, March 8th, the FCA Leadership team went to Sugarcreek to listen to speakers and learn about leadership in faith. On Friday, March 8th, 2019 the members of the Ridgewood General News club embarked on a trip to Ohio University to tour the Scripps College of Communications. The 6 students made the trip to explore the worlds of journalism and communication. At Ohio University the students were given a personal tour of the Scripps building by the Dean of the College, which included WOUB - Athens, a media sound stage, a Foley Studio (Where sound effects are added to movies) a recording studio for music, a podcast lab, a photo gallery as well as visiting with faculty and staff. There will be a student make-up day on Friday, March 22, 2019. There will be NO early dismissal on Thursday, March 21, 2019. These are the only changes to the calendar. Spring Break Dates are April 17, 18 and 19. We have a total of 5 students who have placed in the Aviation Art Contest "My Dream To Fly" at the Ohio level. They have advanced to the National level in Washington D.C.! If they place at Nationals they will proceed to International Level! Congratulations and Good Luck! Click the Read More button to view the winning art work. 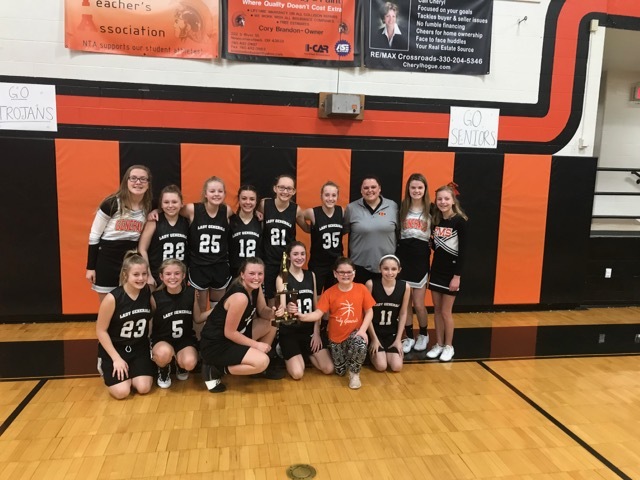 Congratulations 7th Grade Girls Basketball Team! 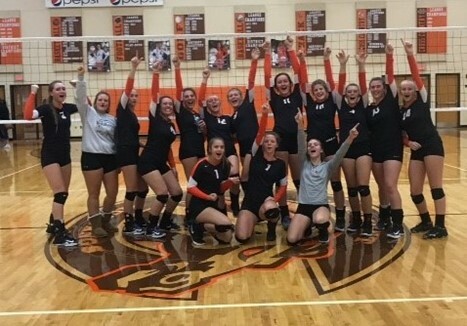 IVC Champs! 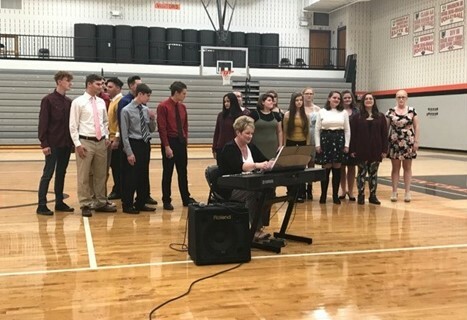 February 5th was senior night at the home basketball game. For additional information and photos please click the Read More button. The 22nd annual student exhibit is underway at the Johnson-Humrickhouse Museum in Roscoe Village. Artwork will be on display through March 31. 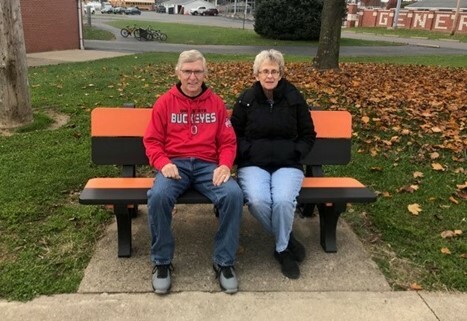 Some pieces will also be shown at the Coshocton Public Library and West Lafayette Branch Library. This years theme is Playground of Color. For additional information and to view a gallery showcasing some of the artwork click the Read More button. Links from this page will let you leave the District's websites. The linked sites are not under the control of Ridgewood Local and we are not responsible for the contents of any linked sites, or any links contained in a linked site, or any changes or updates to such sites. 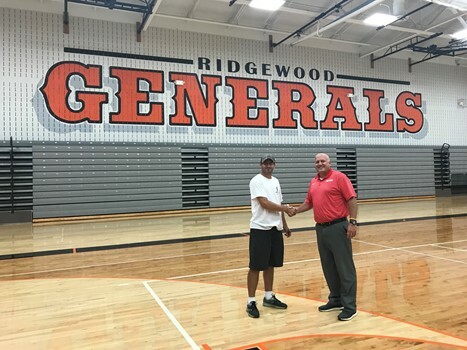 We are providing these links to you only as a convenience and the inclusion of any link does not imply endorsement of the site by Ridgewood Local Schools.